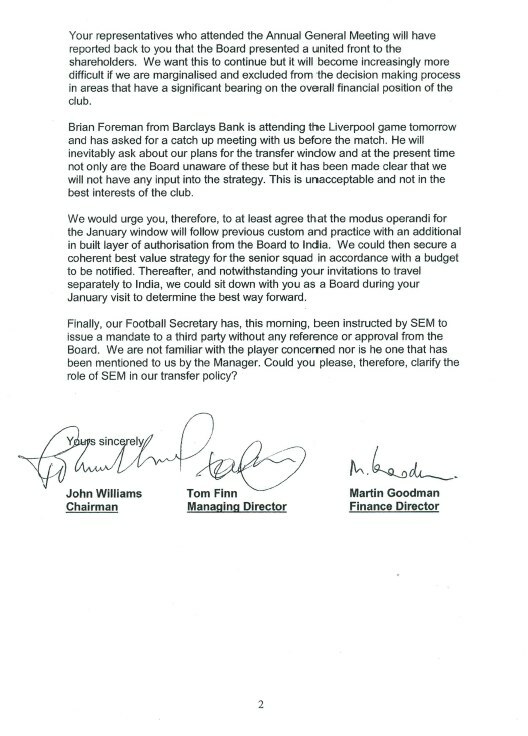 The full story explaining the context in which the letter below was sent in January 2011 is elsewhere on this website today. 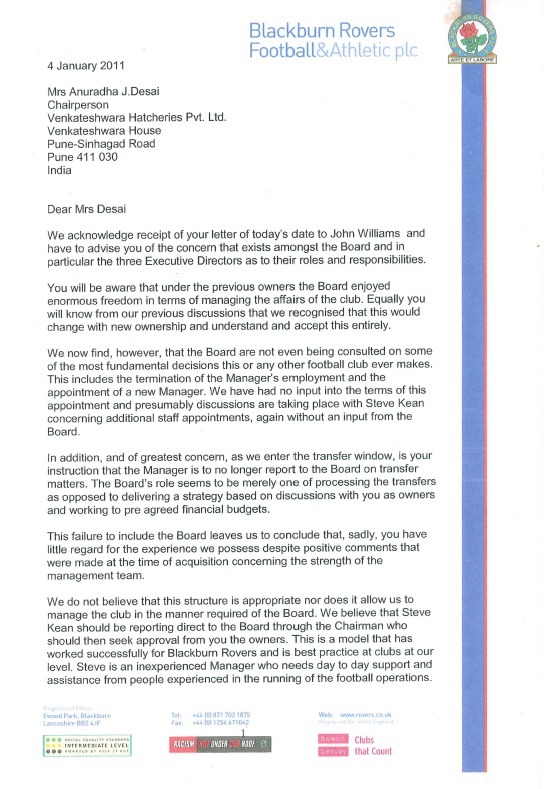 This letter was sent by senior figures at Blackburn Rovers to the club’s co-owner and main decision maker, Anuradha Desai. Read the full story.